Colin was referred to Deafconnect by the Job Centre as they were able to offer more specialised support for his disability through this project. Colin had gained some previous skills and work experiences but the programme gave him more interest in learning new skills and made him feel more positive. Deafconnect were able to help him with job searching, making phone calls, and visiting prospective employers, being able to give specific support in interpretation and explaining the requirements of the roles he is interested in in his first language (British Sign Language). They have also helped him access training courses such as customer service and time management; both delivered in his first language. He is now also looking to do First Aid and English qualifications. Colin said “the programme is better than the job centre”, saying that there is always a way to contact Deafconnect to resolve any queries. Stephen has been visiting Teamwork Trust regularly since July, for support with his journey back into work. Suffering with anxiety means that he finds it very stressful in new situations, including starting a new job. He’s been actively volunteering for a long time on a hospital radio and helping with administration for the Learning Disability Partnership Board, where he has built up his confidence in those environments. But he was still in need of some additional support in starting a new role and communicating with a new employer. Following conversations with a local logistics company, we were able to prepare the business to take on people with additional needs and link our partners directly to them. Teamwork Trust have acted as a mediator between Stephen and his new employer, supporting him to share any worries at weekly catch up meetings where they can then discuss and resolve them. Stephen said he is starting to get used to the warehouse environment, “each day I get used to something new”. He also said “I feel better for it, almost like it is medicine”. Cherylynn who has been supporting Stephen at Teamwork Trust said “he presented so differently from when he came in the first week to when he got work, it’s like an antidote”. Stephen agreed that the support he has been given is helpful as he has someone to talk to and as he finds it hard to approach people at work, they can act as a go between with his employer. Dostiyo is one of the Partner Organisations delivering employability support as part of the Working Progress project, funded by European Social Fund and Big Lottery. Their work focuses on supporting the needs of Asian Women in Northamptonshire. The aim of Dostiyo’s work project is to support people who are unemployed or economically inactive on their path to employment; to further their skills & increase self-confidence. They offer 1:1 support with job searches, job applications, CV building, interview skills, accessing volunteering opportunities, training opportunities and much more. Dostiyo support those who may face additional barriers for example with language, lack of self-confidence and poor IT skills. The project has already supported many participants on their route to employment. Some participants have completed First Aid training, Food Safety in Catering training, IT training, and ESOL class. Others have been supported to secure external volunteering roles, which have enabled them to improve their skills & gain relevant experience in their chosen fields. Many of the participants now feel more confident to search for jobs online and they now know where to search, whilst others have registered with employment agencies. Some participants have even managed to secure paid employment. Kalsuma, Dostiyo's Support Worker said: "All the participants are making amazing progress and are taking positive steps to achieve their goals." 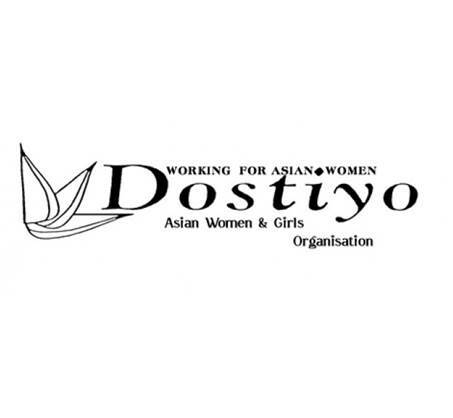 “Dostiyo’s project is really good; it has given me experience in different areas to add to my CV, it has also helped my communication skills from volunteering on reception and serving lunch”. “The project has helped me to search for jobs online and learn new skills on the computer. It has helped my communication as I am now trying to speak English more and now understand it more. It has grown my confidence. I did the first aid course and I am part of the Childcare Cooperative with BBO”.